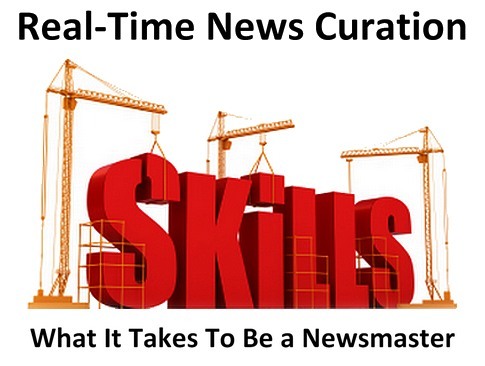 In Part 4 I have gone through the newsmaster workflow, the tasks and specific responsibilities and in Part 5, I am covering the key attributes, qualities and skills a successful real-time news curator must have. To identify them I have been looking both at the experience I have gained with this practice in this last five years, as well as at the growing literature available online on this “content curation” topic. Most people to whom I have shown, explained or illustrated the “newsmastering” workflow, as I like to call it, have missed to understand the value and potential of the curation process, by focusing too much on the technology aspect: how do you do it, where do you click, how do you publish it on your site, and so on. 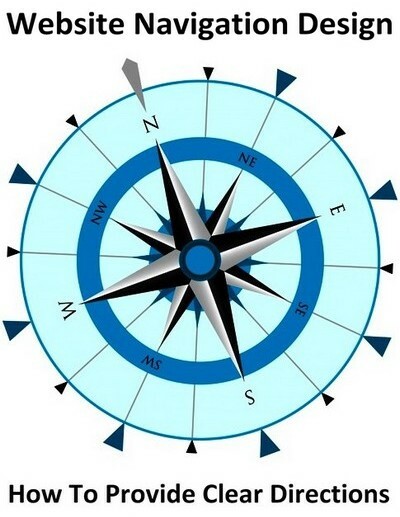 In fact, while technology does play an important role in helping a curator find, aggregate, filter, curate and re-publish existing content, it is in the expertise and skills of the curator the opportunity to create meaning, make sense of disparate info and add value to a newly created “whole”. What makes a successful “newsmaster” is therefore not the ability to maneveur freely with RSS feeds, aggregators and PHP includes, or having access to the latest content curation technology, but rather the level of passion and depth of interest for a specific subject matter, and the harmonious and coordinated application of a rare and multidisciplinary skillset. Something, I would hope, that will be soon taught in professional journalism and communication schools. Therefore, if you have been wondering what are the specific skills and attributes a real-time news curator must have, I have devoted this section of the guide, to this very specific topic. What skills do I need to have if I want to be an effective real-time news curator? Can I just pick the best headlines and links on my topic of interest or do I need to do know / do more? What makes a great news curator stand out from those who do automatic aggregation or from bloggers who create simple news stories lists? As he suggests, the key strategy which allows open business models to gradually migrate to a successful economy of the Commons (which are immaterial goods that are everyone’s property like knowledge, code and design) is the emergence of companies that make use of the Commons and then sell the extra value they add to Commons in the marketplace. 3. the foundations, for-benefit institutions that make their know-how available for free. 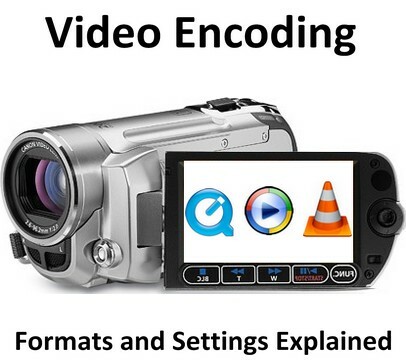 Video encoding is the science of codifying the bits of data that make up a digital video recording into a unified whole according to a set of specific standards and parameters. If it sounds techy, it should. In simpler words, video encoding is the process of taking your original movie, as recorded by your camcorder, mobile phone or webcam, and preparing it for delivery in a digital format according to specific technical standards. This MasterNewMedia guide brings you everything you need to know about the key differences between major video file formats / containers and codecs. From .WMV to .MOV and from .AVI to .FLV, this guide presents the best information available online on what you need to know about the use and characteristics of the major video file formats, containers and relative codecs. When you video encode a clip, you are saving your video into a specific “format” much like you can do with a Word document or a digital image. A Word document can be encoded in .RTF or in .TXT, just like an image can be encoded in .JPG or .BMP formats. Obviously, different types of encodings are good for different applications and devices. Broadcasting, live streaming, burning to DVD and archiving all require different video encoding parameters while your computer browser, an iPhone and your gaming console have all different expectations when it comes to playing back video files. And this is why knowing a bit about video encoding, video file formats and containers is quite important if you intend to publish and distribute digital video. In the video universe it is easy to get lost, as the formats, codecs and file containers generate a universe of possibilities and variables that are initially not easy to understand. If you want to upload and publish a video on YouTube, for instance, you would have to choose specific encoding settings and file formats, whereas your choice would be different if your video clips are to burned on a DVD. As an online publisher you may already be familiar with some of these issues, but as new technologies like HTML5 and WebM are starting to make inroads, you are going to need to better understand the key differences and the pros and cons that such different formats entail for you. “How do I mobilize my website?” is probably a question you have already started asking. But after the initial curiosity, you have not found yet the time to think seriously about when and how you are going to convert your web site or blog into a mobile version that can be properly viewed on any iPhone, iPad or on any other modern smartphone. In this MasterNewMedia guide we have identified and reviewed all of the best tools and services out there, that can help you build or convert your blog into a full mobile site. People have things they want to accomplish, whether it’s making a purchase, finding a recipe, or learning how to do something new. …In addition to these types of visual cues, we often write instructions to assist users in knowing what to do next. People have things they want to accomplish, whether it’s making a purchase, finding a recipe, or learning how to do something new. Inherent in many web page designs, therefore, is information to help a user perform an action. What Is Viral Marketing: Key Principles And Strategies | Very nice & interesting tips !!! What is viral marketing? What are the characteristics of an effective viral marketing campaign? What does it take to produce content that flies on the wings of spontaneous word-of-mouth promotion? In this MasterNewMedia guide on viral marketing you can learn and understand the basic principles, foundations and strategies at the heart of effective online viral marketing. Viral marketing is a form of promotion based on the free circulation of ideas via a word of mouth process. When you like something, it feels second nature to share your discovery with someone you like. Be it friends, relatives or colleagues, you get a kick out of sharing with someone else something cool that you have discovered. And in turn, those people you share something with, will do the same with their network of friends. That is what “going viral” is all about. * Distribution: Viral content spreads like virus, in an ever expanding loop which may never end. For an online marketer, spreading content endlessly from person to person represents a superior strategy to promote content at a fraction of the effort and costs required by traditional marketing techniques. * Reach: A successful viral marketing campaign may exponentially increase the reach of your communications by placing you in touch with thousands of prospects which, with your traditional communication approach, you might not have ever intercepted. * Awareness: The more people will see your content, the more people will know who you are, what you do, what can you offer customers. Not only: by sharing content on a specific topic you will make yourself an authority in that field and people will start naturally coming to you asking for advice and recommendations. * Cost: Viral marketing is relatively inexpensive as you do not have to plan a huge budget to promote your products or start campaigns that meet the needs of all your potential customers. Once your content starts to go viral, your fans become your best marketing agents. To help you make sense of what are the key traits and components that create the conditions for a successful viral marketing campaign, this MasterNewMedia guide shares a highly curated selection of the best analysis, reports and published research on the web on the topic of viral marketing. * Viral marketing best strategies and tactics. Distribution: Viral content spreads like virus, in an ever expanding loop which may never end. For an online marketer, spreading content endlessly from person to person represents a superior strategy to promote content at a fraction of the effort and costs required by traditional marketing techniques. Reach: A successful viral marketing campaign may exponentially increase the reach of your communications by placing you in touch with thousands of prospects which, with your traditional communication approach, you might not have ever intercepted. Awareness: The more people will see your content, the more people will know who you are, what you do, what can you offer customers. Not only: by sharing content on a specific topic you will make yourself an authority in that field and people will start naturally coming to you asking for advice and recommendations. Cost: Viral marketing is relatively inexpensive as you do not have to plan a huge budget to promote your products or start campaigns that meet the needs of all your potential customers. Once your content starts to go viral, your fans become your best marketing agents. This is the interesting result emerging out of the last research report authored by Nora Ganim Barnes and Eric Mattson and entitled: “Social Media and College Admissions: Higher-Ed Beats Business in Adoption of New Tools for Third Year”. As a matter of fact, the use of social media technologies inside academic institutions has increased significantly, especially if you look at the time period between 2007 to 2009. In fact, if you compare the results of this new report with the 2007 research paper on social media usage in academia, authored by the same authors and using the same metrics, you will see by yourself how significant the adoption of social media inside educational institutions has been. In the last few years, academic institutions have indeed become more familiar with social media technologies like blogging, video blogging, social networks or podcasting, while effectively leveraging them to carry out highly-targeted marketing and student recruiting campaigns. 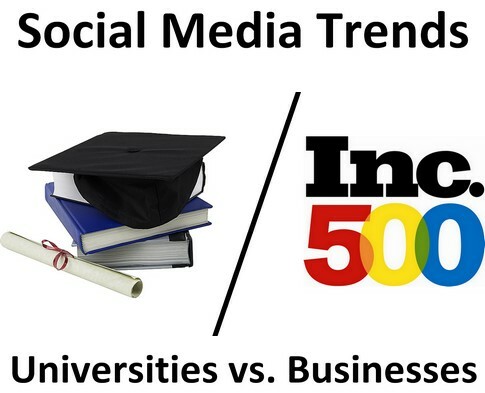 Colleges and universities in North America continue to increase their adoption and large scale use of social media technologies, outpacing both Fortune and Inc 500 on the blogging front. Besides using these to augment and extend their overall communication, learning and student support services, educational institutions have found a key use of social media inside their marketing and student recruiting strategies. This is the interesting result emerging out of the last research report authored by Nora Ganim Barnes and Eric Mattson and entitled: “Social Media and College Admissions: Higher-Ed Beats Business in Adoption of New Tools for Third Year“.